Hourglass amplifies your definition of glitter eyeshadow with a new high-impact formula that delivers high-impact sparkle from all angles. 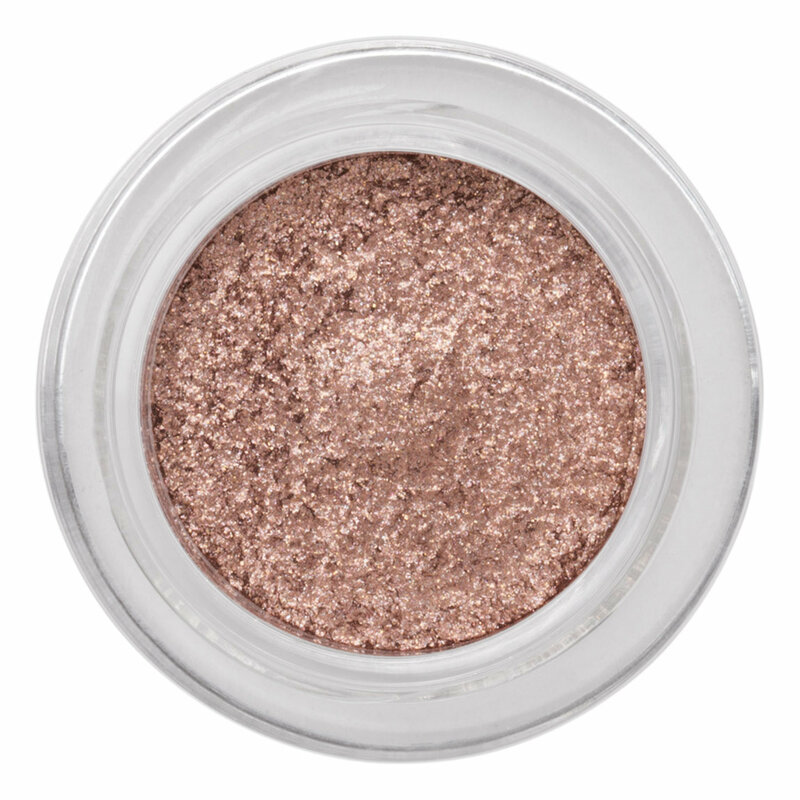 Formulated with multi-faceted pearls for intense light reflection, Hourglass Scattered Light Glitter Eyeshadow creates reflective, buildable dimension across lids for glamorous, multidimensional color and shine. 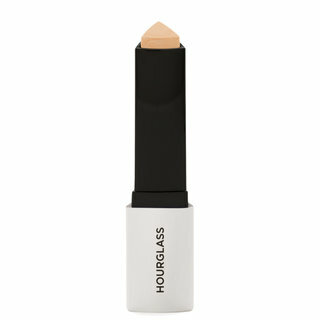 Use fingertips to apply shadow all over your eyelids for best results. Layer and blend to increase intensity. When finished, replace clear disk over the product before recapping the lid. I use glitter shadows a lot (or rather, glitter topcoats as in Tom Ford cream &glitter duo and Tom Ford or Charlotte Tilbury pallettes). Even for my (corporate) workplace. I thought this was going to be along the same lines as it advertised "grown up glitter". Boy, it's not, and that's a great thing! I applied these with my finger and patting on a small amount gives a full-on glitter foil party eye. 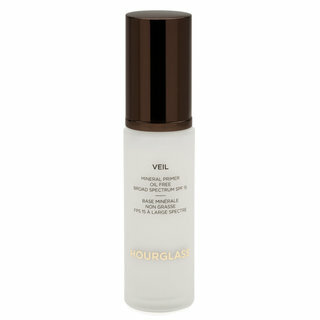 Each eye is done in about 20 seconds, patting on until full coverage is achieved and softening the edges. 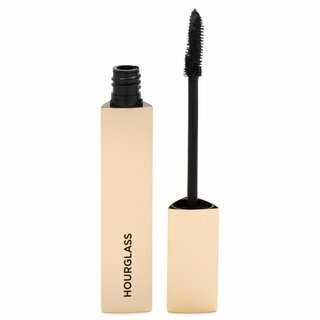 Kohl or liner, mascara, party eye done in 5 minutes when it looks like it was 20 minutes' work. Fool proof glitter eye for events, parties, Christmas, New Year's.. It stays PUT. It does not move until you take it off. Zero fallout (no primer used). I wore it from afternoon to midnight with zero change in its wear. I have normal skin. I am prone to having glitter fallout with Urban decay and sometimes even Tom Ford. This was zero fallout even without any glitter glue. Not for the shy, but really a very very tasteful grown up glitter. I suggest Foil for everybody - the most beautiful, yet decidedly yellow gold I expect to work great on all skintones. Reflect is a champagne and less out there. Absolutely company party appropriate for its classy nature, but at the same time an absolutely perfect glitter eye that would work even for the wildest parties. I have three shades and frankly now want them all. I'D also love them to do a spring edition with a mermaid color and a killer gunmetal. I have All of the hourglass shades, and love come to learn with using them that the less you apply the shinier the glitter will show up on your eyes!!! But All are Truely beautiful and very.easy.to appy. Fallout depends on how much you apply, and how you apply also!! The color and formula are perfect. I previously used the Stila glitter and glow liquid eye shadow and I like this even more. At first I was surprised at how small the hourglass contain is, but when I started using it I realized how far a little bit can go. I'm in love and totally understand why so many YouTubers are raving about this product!!! 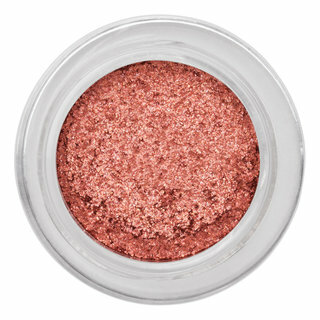 My favorite glitter eyeshadow is New Moon by Chanel. This is not that. It’s shinier, sparklier, and much more topper/foil. But it’s a beautiful topper/foil. And as a topper, if you use it sparingly, it can bring magic to a matte base. So pretty. I wear very natural makeup during the day so I reserve this for date night and I feel like it places a beautiful focus on my eyes without looking too made up. 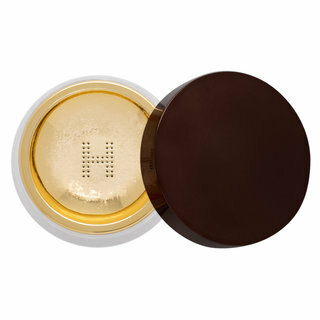 I use my bronzer in the crease, this on the lid and then black liner in my waterline. I have deep set eyes so I can’t go crazy or intense with eye looks, the simplicity of this is enough to elevate my look.